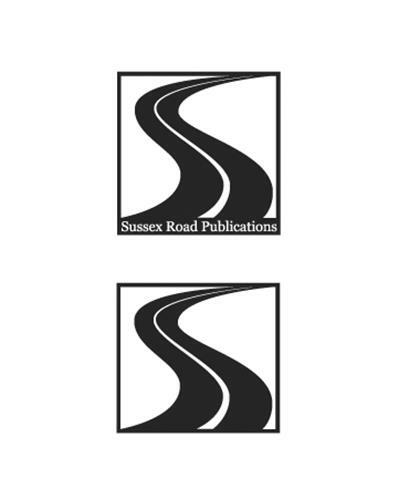 The trademark will be used on the spines of books published by Sussex Road Publications. It will also be used on letter heads, the company web site (yet to be designed) as well as in various forms of advertisement mediums. On Friday, July 25, 2003, a canadian trademark registration was filed for the above pictured logo by Faye Cyr 1080 Sussex Rd., Kelowna, BRITISH COLUMBIA, CANADA V1Z1B5. The Canadian IP office has given the trademark application number of 1184294. The current status of this trademark filing is Interruption of proceeding. The trademark is filed in the description of The trademark will be used on the spines of books published by Sussex Road Publications. It will also be used on letter heads, the company web site (yet to be designed) as well as in various forms of advertisement mediums. .
(1) - The trademark will be used on the spines of books published by Sussex Road Publications. It will also be used on letter heads, the company web site (yet to be designed) as well as in various forms of advertisement mediums.